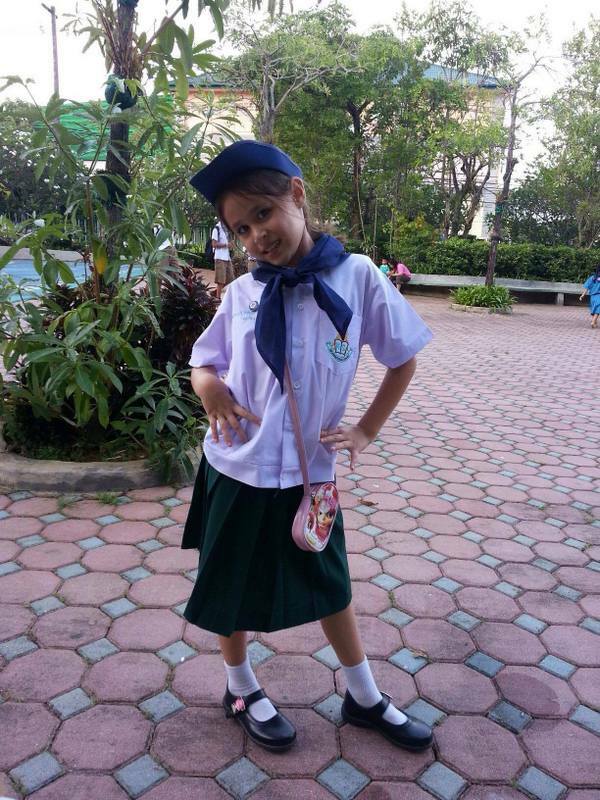 PHUKET: One year ago today (Dec 11), Molly Anne Bailey, aged just 7 years old, died from injuries sustained when the pickup truck her mother was driving slammed into a huge sinkhole that was marked with ineffective warning signs. 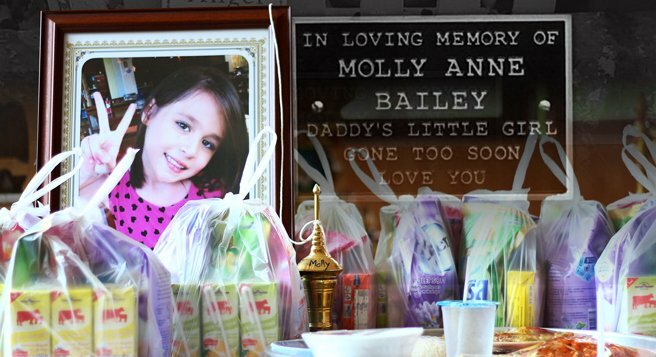 Molly Anne Bailey, aged just 7 years old, died from injuries sustained when the pickup truck her mother was driving slammed into a huge sinkhole. Ms Phakkamon and Molly’s father, Gordon Bailey, are still in grief, the loss of their much loved daughter leaving a chasm in their hearts, as they today continue their ongoing fight for justice. Molly Anne Bailey, 7, poses for a photo. Molly’s mother, Phakkamon Duangchaytemcharat, had little chance of avoiding the gaping hole in the road. It was dark, it was raining and the sinkhole was eight metres wide and two metres deep. Lt Col Boonlert Onklang, the Thalang Police officer tasked with investigating the case, hopes to hand the Public Prosecutor the charge sheets by Christmas Day. The three charges, to be brought against Srisoonthorn Municipality, are for negligence causing death, negligence causing bodily harm, and causing physical and mental injury, he explained. “This case has taken so long because evidence and witness statements must be taken from both sides, especially from those involved in the construction and from municipal officers,” Col Boonlert told The Phuket News on Tuesday (Dec 8). 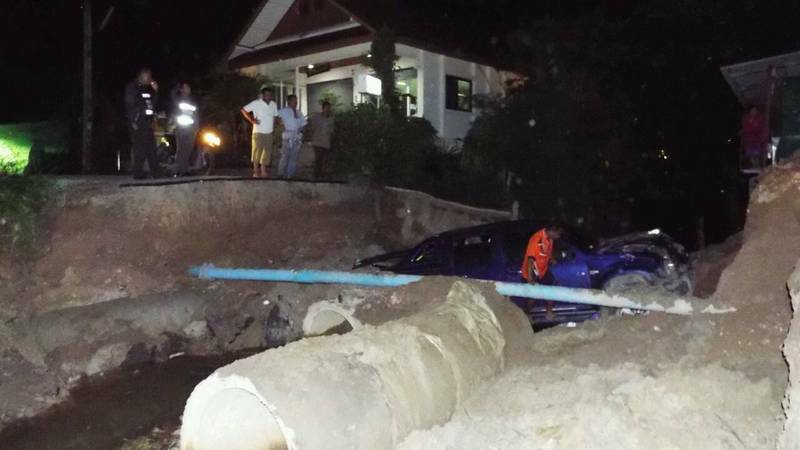 Srisoonthorn Mayor Worawut Songyod, who a year ago said that Srisoonthorn Municipality did not have the funds to install “safer” warning signs around the sinkhole site, this week noted that the sinkhole was fixed soon after the accident. 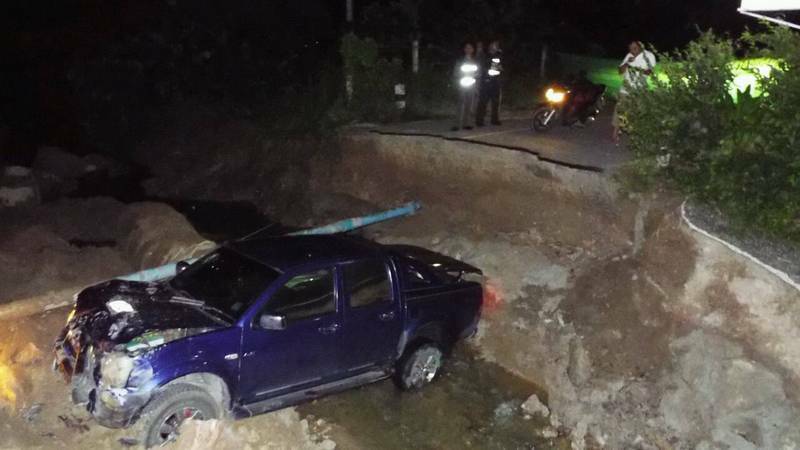 Asked what precautions Srisoonthorn Municipality had taken to prevent any further similar deaths, Mayor Worawut replied, “First of all, everyone should be cautious when driving on the roads. This kind of accident could happen to anyone. “I feel sorry for Molly’s family. Nobody ever wants to lose a member of their family, and as mayor I have a responsibility to ensure the safe condition of roads in my area. “To this, I have repeatedly instructed workers at road construction sites to fix roads that need repairs to ensure the roads are safe,” he said. Mayor Worawut said that although he did make a voluntary personal donation to the Bailey family for their loss, he was aware of legal action against him filed by Baileys. However, he declined to discuss the case at length. “The case is now being heard by the Administrative Court. I do not want to talk about it. Let the court follow its judicial process,” he said. Mr Bailey, meanwhile, seems to be left in the dark about the current status of the legal proceedings. “Up until this moment, I am still not quite sure about what is happening,” he said on Wednesday (Dec 9). “The big problem which I have seen is that because I am a foreigner in Thailand most of the local authorities think that it is not my place to have any business about Molly’s case. Mr Bailey attended the Family Court to obtain legal status as Molly’s father. “But according to some people this is not enough and I am left helpless in this case,” he said. “My last meeting with the Mayor of Srisoonthorn was at Thalang Police Station more than nine months ago. He promised me that he would place a tasteful memorial for Molly at the park next to where the accident happened. This has never happened and he has never tried to contact me to discuss this matter. “I am fully aware that money will not replace my beautiful daughter so I thought that this would be fitting to have a nice memorial as this area was somewhere where she would like to play in the evening. “I am now in discussions further with some contacts that I have obtained in Bangkok that can help me pin the responsibility on whichever party or parties for this terrible thing that has happened to us,” Mr Bailey assured. “The past year has been a terrible year for me and my head is hurting from the thoughts of my daughter every second of every day thinking about her. To mark one year since Molly’s passing, a quiet memorial service to be attended by Molly’s friends and family was held at Wat Manik yesterday (Dec 10).